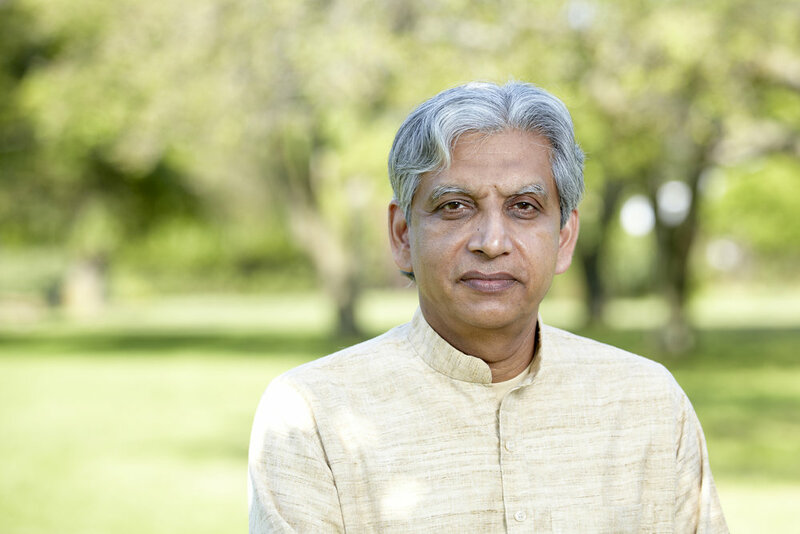 Jivasu is an Indian-Canadian teacher, writer and founder of the Naturality movement. Born in 1956 in India, Jivasu had a traumatic experience in his childhood, which left him with persistent fear of death. Later in life, this fear motivated him to explore the nature of death and what lies beyond it. He devoted himself to exploring western and eastern philosophies, literature, religions and science but the problem remained unresolved. While completing his medical degree in India, Jivasu met Karen, a Canadian medical student visiting his college. Their meeting blossomed into a profound experience of love. Jivasu sees this as a pivotal point in his life journey, which prepared the ground for a spiritual awakening. Jivasu and Karen settled in India and worked as volunteer physicians for 13 years. They initially served at Sivananda Ashram Hospital, Rishikesh, India and later worked on implementing health programs in the remote villages of the Garhwal Himalayas. While living in Sivananda Ashram, his passionate search led to a spiritual breakthrough and radical awakening. This experience became the foundation of the Naturality teachings. He earned a certification in Mind-Body Medicine from Harvard Medical School and diplomas in acupuncture from Sri Lanka and Canada, which further deepened his understanding of the scientific basis of healing and spiritual experiences. For the last 25 years through courses, seminars and workshops, he has been teaching Naturality, mind body medicine and acupuncture in India, Canada, Ecuador and other countries. Jivasu’s life experiences, medical background and spiritual quest have culminated in the Naturality movement. Naturality explores how we can come to know our inner nature and become free from Fear and Guilt, leading to a peaceful and passionate life. Naturality is now a worldwide movement and thousands of people have found healing through this revolutionary framework. The Naturality system includes unique movements, philosophies and meditations. Specialized Naturality practices include Expansive Meditation (Braham Dhyan), the Breath of Dissolution (Kalajayi Pranayam) and Naturality Poses. All Naturality teachings have a biological basis and are rooted in science. Jivasu is the author of many books, including: Naturality, Meditation: A Path of Relaxation, Awareness and Expansion of Awareness, Naturality of Kundalini Awakening, Offerings in Longing and Love.